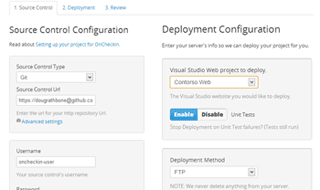 OnCheckin - Continuous Deployment for ASP.Net websites. 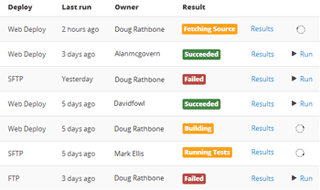 Avoid the time and money of building your own Continuous Integration environment. We've taken so much of the hard work out of setting up Continuous Deployment for your web site or web service, you'll wonder how you ever did it before. Fill out 10 fields, and unlock a Swiss Army knife of deployment power. Whether you're running source control or manually-triggered deployments, our management console gives you the visibility and control to manage your projects' Continuous Deployment with ease. We give you access to all the logs and deployment metrics you need, with nothing you don't. Whether it's seeing what went wrong with your build, who was to blame or whether your unit tests are all green, we've got you covered. One of the simplest things to overlook before going live with your website or webservice are simple misconfigurations that allow attackers to get a foot hold in your application. We've got you covered with everything from simply forgetting to set cookies to HttpOnly to the dangerous with leaving tracing turned on. On every build we'll take your web.config and scan it against over 30 different vulnerabilities. Thanks to our parternship with ASafaWeb we're also able to scan your website for security vulnerabilities the evil doers do; after deployment. 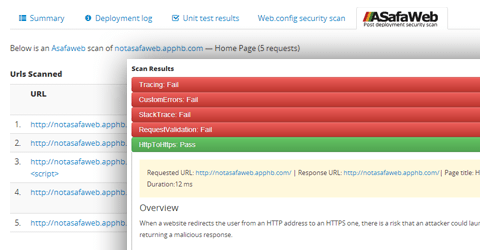 Adding post-deployment ASafaWeb scans to your website is as simple as telling us your site's Url. 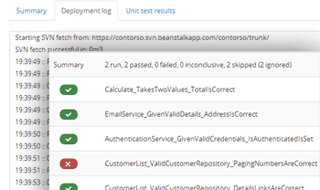 Results stay right with next to your unit test & web.config scan reports. Find out more about ASafaWeb scans. 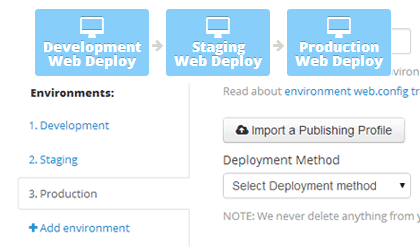 Setup different stages to your deployment lifecycle. Do you have a Development / Staging / Production environment? 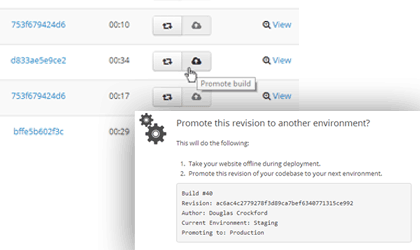 OnCheckin allows you to customise your deployment workflow to the way your team works - you know your project best. 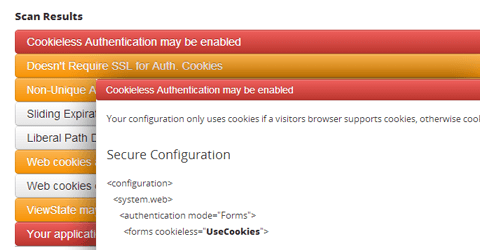 There's nothing worse that having untested code making it onto your live site. Our workflows stop failed deployments dead in their tracks. If a build fails, or Unit Tests aren't green across the board, your team's other environments are protected.